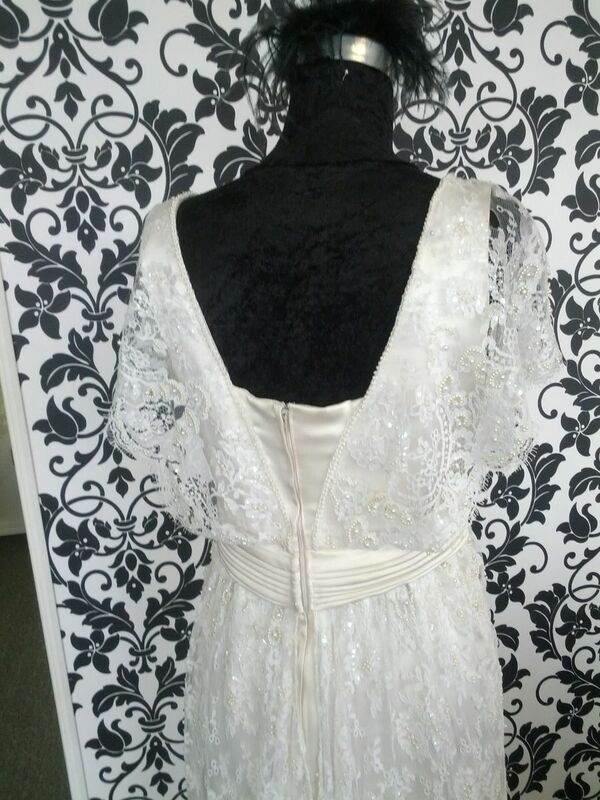 This beautiful gown is made from delicate beaded roth lace over soft ivory silk. 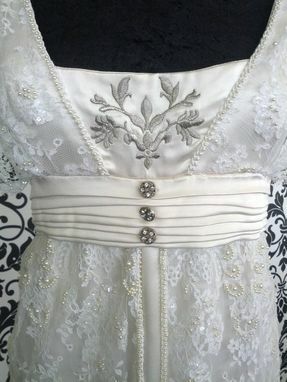 Short lace sleeves, hand-pleated waistband, rhinestone buttons and silver embroidery complete the look. 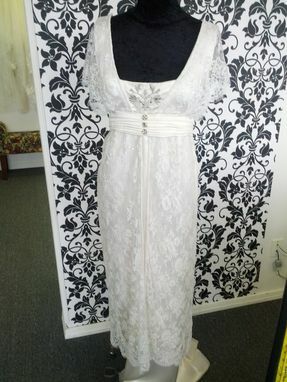 This gown would be gorgeous for an outdoor wedding!